Summer Barbecue. Nothing like a good barbecue (and maybe some beers) on a hot summer day! 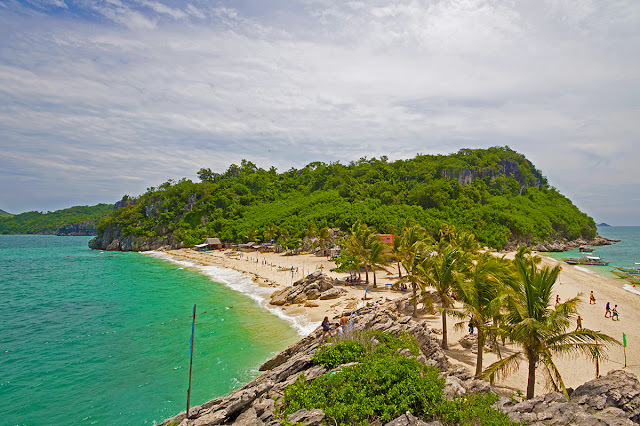 When traveling to the Philippines this Father’s Day, why not go on a food adventure island-style? Get a taste of the tropical life as you delight in a boodle or buffet feast of delicious tropical fruits, mouthwatering grilled seafood, colorful salads and cool island drinks! Culinary Adventures. He loves to cook and you gotta admit, nothing beats dad’s home-cooked meals! So why not put a twist on your Father’s Day celebration and sign him up for a one-of-a-kind cooking sesh while also on vacation in Bicol! There’s nothing more enjoyable than being able to share your passion for all things food! Seeing the Sea Life. Beat the summer heat as you plunge into the cool Philippine waters for some underwater adventure. Dive or snorkel in Apo Island and bring out the explorer in your dad as you both discover its fascinating marine life. For a more exciting encounter, meet up-close the famed whale sharks of Oslob in Cebu! Exploring Local Nature. Take dad to a more relaxed adventure amidst nature, hop aboard your paddle boards and cruise through the banks of the Loboc River. A Staycation to Remember. While everyone is out of town, now’s a great time to have a vacation in your own city! Stay at a hotel in the metro, then head on over to your favorite pub for some good chow and gulp as you cheer on your favorite team on TV. Amazing opportunities like these may be great experiences for your dad to have, but it's only when enjoyed with family that it becomes a truly meaningful and fulfilling adventure. Never forget to give the man who raised and supported you a part of your time to make him feel special and wanted.